From the moment I saw Tetris Effect at E3 2018, I knew I was going to be hooked. Tetris is one of my favorite game series, so that helps quite a bit too. 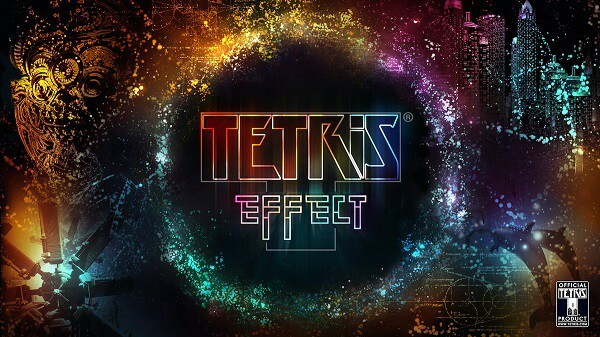 Tetris Effect combines the core Tetris gameplay with the likes of Tetsuya Mizuguchi making for a magical team-up. Plus, Tetris Effect is also maddeningly difficult. The timed demo includes three basic modes for people to try out. 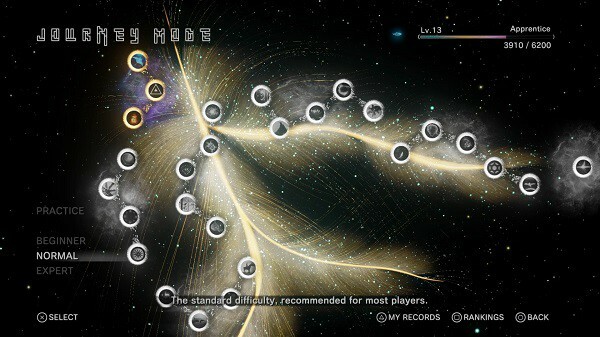 Journey Mode is going to be the story campaign of Tetris Effect. There are three stages to play: The Deep, Pharaoh’s Code and Ritual Passion. From the looks of it, completing stages unlocks new story paths and thus more stages become available. Structurally, you just have to clear 36 lines to get to the next stage. There’s a short (like four-second load) where the Tetris board changes visuals and songs but it’s handled well. The board itself doesn’t change, so any pieces do remain from transition to transition. Once you clear 108 lines, the Journey ends, at least for this demo. Mechanically, the new thing with this game is Zone Mode and I’m not really sure what the point of it is. There is a meter on stage that fills up as you play, which controls the Zone mechanic. Once you pop it, you’re given a length of time (depending on the meter) where the board freezes in place and lines you complete don’t clear. Once the mode ends, then the lines clear and the board goes down. So, you build up a nice tower of pieces for you to take down, pop the Zone thing and then it can tumble down once it ends. I’ve gotten up to a Dodecatris (12 lines cleared), but I think a Hexadecatris (16 lines) is possible. The second mode to talk about is Marathon Mode. This is the usual mode for a Tetris game where you have to clear a certain number of lines, in this case, 150, before you reach the top and end the game. Speed levels increase every 10 lines you complete and believe me, the game can get blisteringly fast at around level 14 or so. Finally, there is Mystery Mode, also known as, the real challenge of the demo. Mystery is a Marathon Mode where there are different status effects that happen as you play. These range from causing bombs to appear in your field (that you have to clear or they explode), flipping your board upside down, shifting parts of your board around, causing “fractured” pieces to appear, causing giant pieces to appear, etc. Most of these are bad, but there are a few good effects like clearing your board completely or resetting your speed level down to 1. I cannot for the life of me beat this mode. You have to clear 150 lines but the most I’ve gotten is 135 or so. It gets SUPER hectic and difficult as you keep going. However, it doesn’t act as a deterrent. In fact, it just drives me to keep trying it over and over. This mode will not beat me. Forget God of War, Marvel’s Spider-Man, Red Dead Redemption 2, by the looks, sounds and playing of it, Tetris Effect is going to be my Game of the Year for sure. It has some fantastic music, some devilish twists on the Tetris formula and enough surprises to (likely) keep me entertained for quite a while. November 9th can’t quite come fast enough.